What’s old is new again and it was never more apparent than at the NYC AD show Stephanie Davis and I attended in March. Whether it be on the runway with the likes of Jean Paul Gaultier or Diane von Furstenberg, or on the road with a Mini Cooper, it’s BACK! Smeg & Big Chill are favorites of mine that bring the ever popular, nostalgic retro aesthetic to the appliance world without ever compromising on modern amenities. If you are purchasing one of their retro refrigerators, you would be spending between $2,00.00 to $3,500.00. 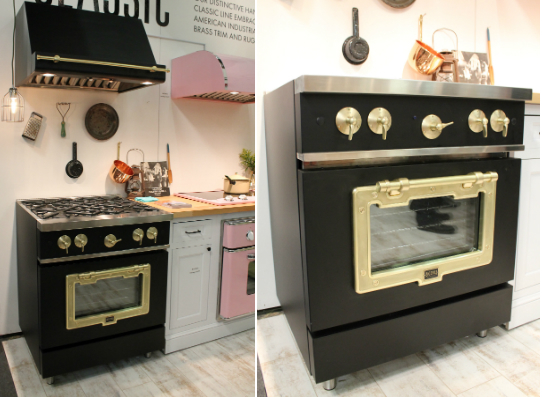 If that breaks the bank, you can add a touch of vintage to your kitchen by simply adding retro style small appliances or decorative touches. If changing out your appliances for the retro look isn’t an option for you, no worries, just focus on the décor details. Check out my video for eHow where I talk about one of my retro inspired apartment projects. 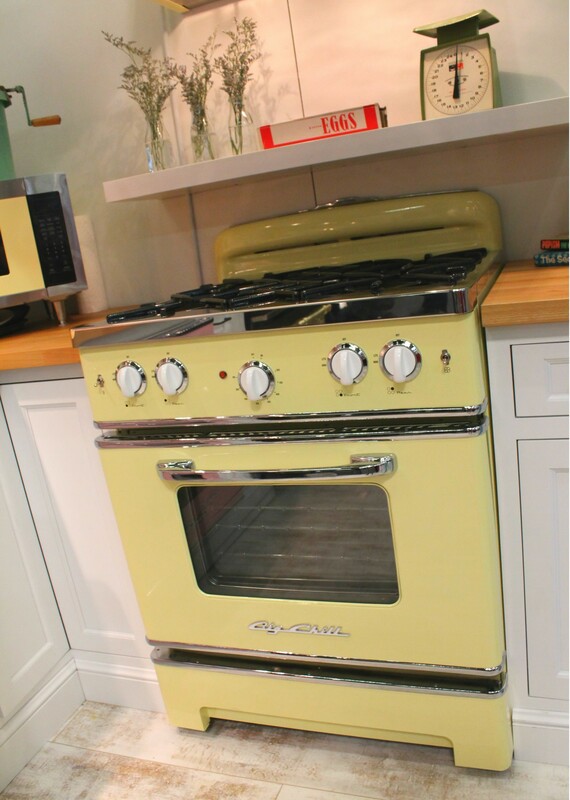 If you’re going retro in the kitchen, the appliances will most likely be the pop of color that draws the eye in, so make it about the fun appliances. Too much of any good thing looks like you are trying too hard; it is all about balance in design. Who says you can’t have a tailgate party in your kitchen? This quirky wine cooler from Smeg may be better suited for the summer kitchen but it would certainly be at home where the style theme is retro. So if you are adopting this style, keep in mind that you don’t have to be too serious with your design choices. I can see this wine cooler inciting plenty of conversation at your next party (retro themed or not!). Mixing a modern décor with retro accents, such as bar stools, can be a marriage made in heaven. Soda parlor style bar stools, shown below, are just the ingredient needed to bring the right amount of character to this kitchen. Alternatively, going less obvious with a more updated look that still holds on to it’s retro inspired roots provides a good proportion of old and new. Below is a great example of a modern kitchen with just the right amount of retro provided by the pendant, bar stools, and base cabinet color. I like to refer to decorative hardware as the jewelry to the cabinets. The pulls or knobs you use can have a huge impact in what style direction they take the room in.